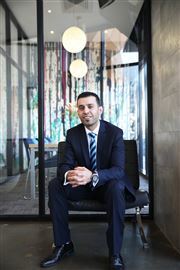 With years of Real Estate experience under his belt, Aras Sadik brings a wealth of knowledge and energy to Harcourts and his credentials make him a valuable addition to the experienced Sales Team. Before starting his career in Real Estate, Aras was studying to be an Aerospace Engineer and he has also completed a course in Building and Construction Management (Domestic). However, Aras chose to pursue his interest in Real Estate Sales with the belief that his drive to succeed and his desire to achieve maximum results would ensure a long and successful career. The journey so far has been rewarding and his hard work has seen Aras recognized on a number of occasions for his outstanding sales results and his commitment to provide the best service to his clients. Aras understands the importance of continually updating his skills in order to offer optimal service to his clients, and this dedication has seen him build and maintain a strong database of satisfied clients who can attest to his quality service, advice and hardworking attitude. Aras works closely with his clients to prepare a marketing strategy to suit their requirements and to ensure that their property is sold for the best price in the shortest possible time. “I am very enthusiastic about my career in Real Estate with Harcourts and have genuine empathy for people’s needs”, Mr. Sadik says. “I am an achiever; eager to get the best results possible and I have a strong focus on providing a comprehensive service based on honesty and integrity”. Evan Yousif is a young, energetic, enthusiastic real estate sales executive, He always keeps his word, does his best and most of all loves his work. Evan has a great positive attitude; he always strives to be the best he can be and is committed to making any real estate experience as easy as possible. He is most happy after he has reached his clients goals whether it is with their sale or purchase. 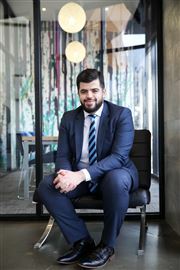 Evan is an outgoing person and loves meeting new people, joining Harcourts Roxburgh Park, has given Evan the opportunity to utilise his fluent communicational skills not only in English but in Arabic, and Assyrian this has given Evan the confidence to achieve not only his clients goals but also his own. When not professionally representing his clients, Evan enjoys spending his time with his family and close friends. He also enjoys his long drives and watching soccer in his spare time. After 4 years of perfecting her customer service skills in the Hospitality industry Chelsea commenced an administration/reception role with our team. Chelsea is an enthusiastic and outgoing person who prides herself on her quality workmanship and a focus on client satisfaction. Her bubbly personality and warm essence is sure to make every client feel respected and welcome when being spoken to either, through the phone or throughout their visits in the office. She is responsible for assisting both the sales team and rental department in any way that she can, ensuring that she is always working as a team player. She understands the value of working in a timely, efficient manner ensuring that every task is completed to the upmost best of her ability. Matched by her professional and immaculate appearance she is reliable, organised, honest and ensures that her contribution to the business is ran seamlessly under the best management possible. Outside of work Chelsea enjoys reading and any outdoor activity. Lem Djemal strives herself on dedication to understanding her client’s individual needs and helping them achieve their real estate goals. Her strategic approach and professional demeaner allowed her to be recognised as a strong negotiator and adviser. With her results confidently speaking for themselves, Lem’s knowledge and experience in the local market is undisputable. Lem Believes that honesty and competence is fundamental in the real estate industry and guaranteed client satisfaction.